Do you ever wish to make your PC and Laptop an Android to enjoy Android games and apps on your Computer? Android emulator is something that makes your computer an Android. Really! Android Emulator is just like other software but it provides Android OS installed in which computer owners can enjoy stuff of Android like PUBG mobile game, WhatsApp and Facebook applications, etc. Well, In this very post I will introduce to you the top 5 best Android Emulator for Windows PC and Mac. So, you can get Best Android emulator to enjoy Android games and apps on your without the performance hit. In the market, there are the tons of Android Emulator are available but all of them are not good in performance term. Most of them need high-end requirements in PC to run properly. And I think most of you reading this have low-end to medium-end PC. Here in this post, we have identified the best Android Emulator for PC after huge research and those Android emulators are listed here. These Android emulators are listed in this article after testing practically and overall all the top 5 Android emulators will give you best Performance while gaming, browsing and even in low-end PC. 0.1 What is Android Emulator? 0.2 Does Android Emulator Fully Get Installed and Removes the Running Windows or ISO? 1.6 Which is the Best Android Emulator for Windows 10? It is a software or program which allow Windows user to run Android apps and games with the mouse and Keyboard experience in a Big monitor. Using Android Emulator you can play Android games more efficiently. However, there is an application called Game Helper which allow doing keymapping. Meaning, you can set action buttons in game to keyboard and mouse and set keys according to your best choice. Android emulator is an exact blueprint of an Android device. Yes! The exact copy of an Android phone and you can access all the stuff that an Android phone can provide. But not in not hardware term like Sensors, WiFi. If your computer has these sensors and all Android features in hardware term then you can utilize them by using Android Emulator. Using Whatsapp, WiFi, Internet, and other similar works will become very easier with Android Emulator for PC. Even by using our one of the chosen Android Emulator you can use unlimited Android in one computer, its Nox Player. Does Android Emulator Fully Get Installed and Removes the Running Windows or ISO? No. As I said above, Android Emulator is a normal software which provides users to access the Android operating system in a computer without replacing the original OS of PC. 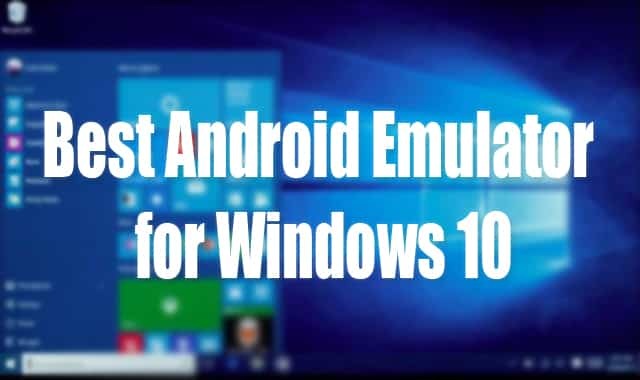 You can anytime install and uninstall Android emulator on your PC without any problem, no matter whether its running Windows or Mac. And It will take only 3-5 minutes to get started with Android Emulator on PC. Whenever you start the Android emulator on your PC, you will get options to close, Minimize and maximize and So, you can easily close the Android emulator when you are done doing your work with it. Now, below I have listed the top 5 Best Android emulator that supports Windows PC and Mac. 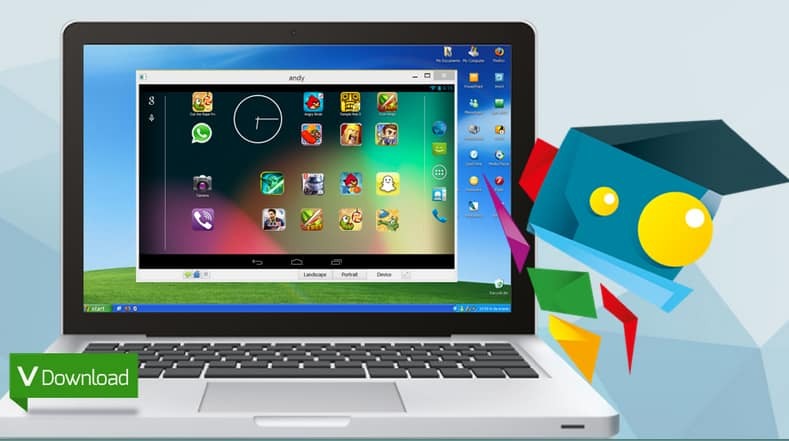 BlueStacks is a famous and popular Android emulator which allow running Android applications, games, etc. It gets suddenly viral after the first version launched and probably due to its goodness and quality. Recently, BlueStacks 4 has released which promises 6x faster performance than Samsung Galaxy S9+. Samsung Galaxy S9+ is an Android device which is also known as a powerful device. And you can experience 6x more performance in BlueStacks 4 than Samsung Galaxy s9+. Meanwhile, all the games you ever wish to play will run smoothly and without any lag and glitch. It has amazing optimization ability and anyone can run it even in low-end PC and Laptop. BlueStacks have WiFi access ability, storage option, RAM, Battery, and other some Android devices tools options like Developer mode. Even more, BlueStacks is Rootable and you can install SuperSu on it and enjoy all the benefits of a Root. Like using advanced applications, modifying apps and games, etc. You can also check out, how to Root Android phone safely. And you can apply that process in BlueStacks to Root it. Overall, BlueStacks is faster, lighter, and Simpler. To make it more clear for you, Let me provide you with its main features so you can know the benefits of it. 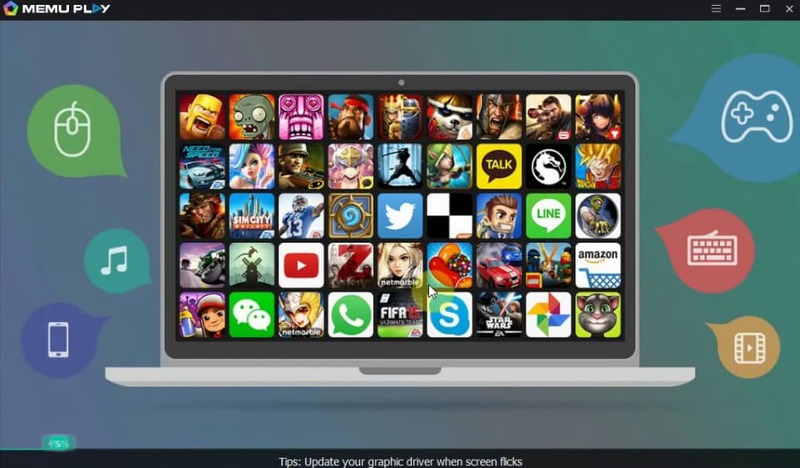 Also, check out Best BlueStacks settings for Android gaming on PC. Fastest Engine to enhance gaming. Play Games and earn points. Provide better experience than Android phone. Multi-instance feature for Multi accounts and Multi Windows. This best Android Emulator has amazing features like WiFi, multi Androids, Android upgrades, Real-time tablet, Advance customization option and more great types of features are implemented on the NoxPlayer latest version. NoxPlayer is an Amazing Android emulator that touched its user heart through providing a customized Android operating system. And the best quality of NoxPlayer is users can create as much as Androids using this Android emulator. Even better, you can access all the Android’s separately without mixing up the files. Learn to create many Androids with NoxPlayer. The best benefit NoxPlayer provides is users can use many Android phones in a single piece of PC. And I think I don’t need to explain how much benefits you can take by having 3 or more Android phones. You can use multi WhatsApp, Multi Facebook Apps, Save game separately on Android’s, and more. Below I listed the main features of Nox player so you can clear some of your doubts. Fast and smooth gaming experience at 60 FPS. Fully compatible with all android games and apps included controls. All playing feature supported like keyboard, mouse gamepad and more. Hot games are instance available to download and play. An Android emulator that officially launch for playing PUBG MOBILE on PC. Tencent Gaming Buddy has been made by the same company that has made PUBG mobile. And due to the game popularity, Tencent company launched Tencent Gaming Buddy for low-end or Medium-end. PUBG PC version needs high PC requirement which 50% of the gamers all around the world didn’t have. So, for those peoples, Tencent Gaming Buddy is a gateway to play PUBG mobile on PC which almost gives the same feeling and graphics that PUBG PC gives. And the best part is, Tencent Gaming Buddy is fully optimized for Playing PUBG mobile. Meaning, you will get the best performance in Tencent Gaming Buddy than any other Android Emulator while playing PUBG mobile. From below you can Download Tencent Gaming Buddy on your PC. MEmu is a free and Best Android emulator for PC that provides simpler UI like BlueStacks. And the latest MEmu Android emulator has some important updates like Multi Instances, Smooth control, Improved Keymapping, etc. The new MEmu 6 version has the serious update released which makes this Android emulator perfect for playing mobile games on PC. Also, it uses the Android KitKat version for their Emulator which really helps in playing online games smoothly like PUBG mobile. And due to it uses low Android version, users who have low-end PC can easily play heavy Android games. Below I listed some main features of MEmu Android Emulator for PC. Use the mouse, keyboard, and Gamepad to control games more efficiently. Play multiple games at the same time using the Multi-Instance inbuilt feature. Andy has much experience of Android gaming on Desktop than any other Android emulator. It was launched in 2014 and since then, it has improved so much and you can enjoy Android games, applications using it for free. It doesn’t cost any money to download and install on PC like some other Android Emulator. And its best part is you can run this Android emulator on your low-end PC without sacrificing performance. It also allows keymapping features to their users meaning you can play PUBG mobile and Garena Free Fire without any problem. Most of today’s generation Android games are based on key mapping and the demand for FPS game is increasing like a phoenix. And Andy probably knows about that and that’s why they have added some major updates to their new version. Below I listed some important Andy Android Emulator features that will be worth reading. Supported on Windows and Mac. Google Play Store is available to download and install games like PUBG mobile. Camera and Microphone intergation has done. NoxPlayer 6 and BlueStacks 4 is probably the Best Android Emulator for Windows 10. However, they have the latest technology instilled in the Emulator which enhances the Android gaming performance. And without any doubt, you will get the best gaming performance in these two Android emulators compares to any other emulator available. But you also need more PC requirement to run them properly and enjoy the game like PUBG mobile without lag. Windows 10 alone need at least 4GB and a Good CPU and when you run Android emulator plus play games on it, your PC will end up lagging and crashing. So, If you don’t find these two Emulators helpful for Windows 10, you can look for Android emulators like KO Player, Droid 4X, Geny Motion, AndyRoid, MeMU, LeapDroid, and Phoenix OS. I strongly recommend using Phoenix OS if you really want to enjoy high-end Android games on Windows 10 PC. Phoenix OS itself is an Android-based operating system and using that for gaming purpose can give you a lot of benefits. You can read below guide to get started with Phoenix OS on your Windows 10 PC. If you are looking for an Emulator to do Android gaming on PC, use Blustacks 4 for the ultimate gaming experience. Because it has amazing customization for Android gaming. But it will also require more PC specification. To alternative of BlueStacks 4, you can use NoxPlayer 6. It is also a Best Android emulator that provides tons of features for gaming like smooth control, graphics adjustment, keymapping, etc. And to really enjoy the high-end Android games on PC without any problem then I recommend installing Phoenix OS. Playing games on it will be much better than playing games on an Android emulator. However, you will get 3x performance while gaming in Phoenix OS because you will play Game on Android operating system. And there will be no middle man. Meaning, you will get free RAM of Windows OS, Android Emulator and these resources will be utilized directly in the game which will automatically increase the gaming performance. So, comment below which Android Emulator you liked from my best Android emulators list? Also, share this article with your friends and let them know about the Best Android Emulator.